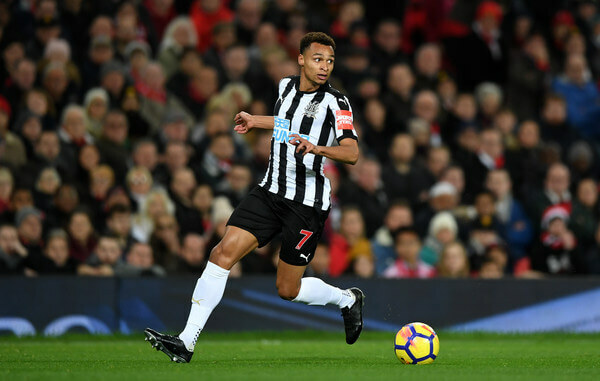 Jacob Murphy had a mediocre season last term but has returned early to Newcastle and knows this season is a crucial one for him and he wants to do well. Rafa Benitez is determined to have extra competition for places in the first team next season, and Murphy is determined to fight for his place on the team. The 23-year-old has good technical skills, and he is learning a lot under Rafa Benitez and was a bit surprised at how much harder it is in the Premier League compared to playing in the Championship. We signed Jacob from Norwich last summer for around £12M and his twin brother Josh has joined newly promoted Cardiff City from Norwich this summer. 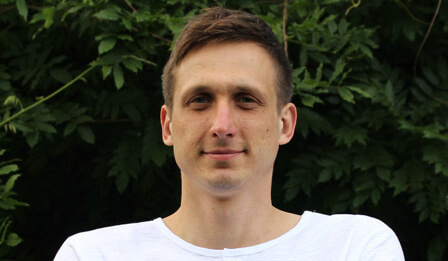 Josh cost about £12M – a similar fee to what Newcastle paid for Jacob. So both players are hoping they can play against each other in our second game this season at Cardiff City. Murphy has a good temperament and good character and is willing to learn under Rafa Benitez and fight for his place; that alone should help him become successful on Tyneside. He will have significant competition – but he already knows that. Last season he played 28 times for Newcastle with one goal and one assist. Better way of knuckling down to not being in the first team much I think. Only seen about 3 and a bit WC matches. Really do not like the apparent increase in players mobbing the ref after incidents on the pitch. Possibly as a result of VAR. Looks bad as if the refs are out of control. FIFA need to step in and get it curbed. What has Mike Ashley done for NUFC. 1) He stopped the club from going bankrupt and doing a Leeds. This could have been a real possibility after the money wasted on Michael Owen and Albert Luque. With wages that was about 50M. 2) Ticket prices and the general match day experience are sound. 3) Has trusted the wrong people and made mistakes. To his credit he has put money in to try and correct that. The last relegation being an example. Yeh it was his fault in the first place, but at least he paid to correct it. The fella down the road a ways did not. RobLeenio, the servile flatterer (sycophant)… his mask is sure slipping. More to come I reckon. Watch this space. There was a clampdown in PL awhile ago with just captain s being allowed to approach ref. Find it odd that FIFA haven’t already adopted that sensible policy. At the end of the day though it is up to players coaches managers etc to show some awareness of how this and the stupid diving and feigning injuries is playing out on world wide TV in slowmo UHD and realise how pathetic they are. I think VAR is poor. Most games in the Prem are ok as far as reffing goes. At the end of each game we are invariably talking about 1 or 2 decisions sometimes 3. Give each side 2 challenges they can use when the ref has to defer to a video assistant. If they find in your favaour you keep your 2 challenges. If not you loose one. Most games would have the controversy taken out of them straight away. There is nothing like a tired of cliche to spark the blog into action. As to the last I think without Rafa having put himself forward we might have had a Pulis or clone? Considering the direction that the Premier League has taken, regarding increase of income and advertising value; owning Newcastle should have been plain sailing. But, yeah, I suppose two relegations, the club debt standing at near £150 million, the sponsorship deficit, and a wage bill that equates to the 7th highest wage bill in English football during a Championship campaign *cough b.s*, yep, Ashley has done alright by the club. PompousC, so now I’m a racist sycophant. You’re right, but I’m not sure how effective it’s been. Like anything, rule changes are more about the enforcement than inventing the policy in the first place. Cliche or not the club was not being run sensibly and the Championship and League one are littered with examples of clubs over stretching themselves. Leeds are just the most spectacular example!e of flying to close to the Champions League Sun. Chelsea were apparently not far away from imploding before Abramovitch stepped in. Football in general has rarely been run on sound business principles and the PL and obscene SKY monies have only exacerbated the tendency of a failing gambler to continue throwing money away in the hope of salvation usually to no avail but more misery. Hang fire on order earring your new shirt lads. Wonder who we’ll sign up ? Let’s hope Charnley negotiates a £5m plus deal so at least we can afford a deposit on a striker. “Visit Shields”could be with a few bob. Probably safer than Rawanda but only just. Better Chips mind. Newcastle United are expected to announce a new sleeve sponsor for the 2018/19 campaign next month. The Magpies had Indian tyre firm Madras Rubber Factor Limited (MRF) on their shirt sleeves during the 2017/18 season, but the deal was only for 12 months. Arsenal announced a £10million-a-year partnership with Visit Rwanda last month, the most-lucrative sleeve deal signed by a Premier League club so far. Although Newcastle cannot hope to agree such lucrative terms with their next sponsors, the Magpies are confident they will receive a higher figure from their next deal – which could be a multi-year contract, rather than for a solitary season as it was this time around.